Not a huge deal, but just a brief question... is there an upgrade path for those of us who already have the SGM? Like I say, not a huge deal... I'm not interested enough to buy a whole new version of the SGM, but if there's a cheap way to add the Pro functionality to my already existing unit, I'd be okay with that. As I understand can you not upgrade the Opcode Games Super Game Module. SGM Pro is a whole new design, and there will be added a custom sound chip that can produce any sound you like to a given ColecoVision game. So if there is a digital speech or sound in a converted game, SGM Pro can reproduce this sound. As I understand will a large part of the new upcoming ColecoVision premium games have this function. DKA, PMC DX, Gradius DX and so on. So If you want this feature in you further ColecoVision game, will you have to invest in this SGM Pro. If you don't want this extra sound feature, will these new ColecoVision DX games still work with your ordinary SGM module. Your sound experience will be bigger with the new SGM Pro. Just hope this will be added for CollectorVision Phoenix Video Game System. I had the cv logo on the front, size and back of the boxes, so patching it with sticker would look terrible. I don't think it would look bad at all. Lots of company's did exactly this back in the day. No point in wasting what you already have invested in the project. If anyone doesn't like the patch over on the boxes they don't have to buy one. I personally look at it as a nice "screw you" to the Cadeleco\RWBing jerks showing that the community will keep on going with or without the name they are only sitting on to exploit. 2. If everything goes well with the Pro how long before we can buy one? 3. How many games do you plan to make for the Pro in the next 5 years? 1. Pac-Man already got its graphic improvements last year. New sprite mode, improved Ms Pac Man mazes mostly. Minor stuff. 2. I was told February for the new sound chip. After that we need to test the chip and PCB. Good news is that we have packaging templates and other stuff that are usually time consuming. The community knows all too well that you are a perfectionist and we appreciate the heck out of that! 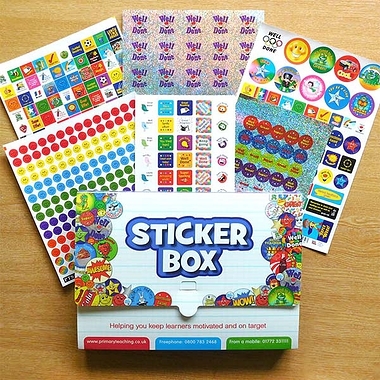 Why not start a new poll thread to see what everyone's opinion is on the matter of adding stickers to the boxes you have already had made? I think you know most would be agreeable to the addition of stickers to the boxes so that they don't go to waste and then if there are further runs made, there will be a redesigned box style which means another variation for collectors to purchase. Put stickers on the boxes. Then I can take them off. I don't mind stickers at all. I'd love to play DK. So I'm not subscribed to this thread as it was just a poll so I missed these posts, not even sure how I stumbled upon it today but I've been spending time with my Arcade1Up machines lately so maybe I'm out of the loop. Anyway so I'm at the latest post and going "is this April Fools?" 'cause this has to be some kind of joke, right? I'm sorry man, and you know I've been a supporter since Space Invaders Collection and sure as hell am not a troll, but I think its time for me to tap out on this one. I've gotten the first run SGM, rode along waiting for DKA and any other SGM games, stuck with this when you were going to make a clear shell for the SGM the said "no" then released some protos years later for crazy $$$ on eBay to raise funds for another project. Then you were making a Pro at some point, then cancelled it, said you weren't going to make it, moved on, came out with some more runs with the new packaging and the "smoked" shell and like an idiot I picked one up and got rid of one of my first run SGM's cause who needs three of them, am I right? All the while waiting and waiting and waiting for DKA, not giving up when you said we'd need the SGM Pro to play it, then we wouldn't when you cancelled it, then you moved onto an entirely new retro console that wouldn't play ColecoVision games then yet another that would, and DKA was going to be out by Christmas cause you said it would. Now we're back to the SGM being back on, DKA needed it again for whatever reason, and you're going to do this along with two other consoles and develop games all the while? I'm sorry man but its all been just a little too much for me at this point. I wish you the best I really do but I'm gonna stick with my 3/4 arcade games for now and leave this one by the side of the road. You don't need the SGM Pro to play DKA. I never ever said you needed. It will run just fine (as in fact it already does) on a regular SGM. And there is no "two other consoles", there is just one, OMNI. But OMNI is being done on a very different level, where possibly I won't be the main programmer and will only coordinate things. And since we are talking DKA, I am glad to announce Grazi is back and will be taking care again of most Opcode related stuff while I use some of my time to put together the OMNi team and brand. I am sure she will come here to announce some exciting stuff soon. You don't need the SGM Pro to play DKA. I never ever said you needed. It will run just fine (as in fact it already does) on a regular SGM. What exactly you don’t understand about the two statements above? You seem to imply they are somehow conflicting. On both I am saying games will run just fine no matter what version of the sgm you have, but you get improved, closer to arcade sound with the Pro. Those who have been around since before the sgm was released, circa 2010, know that I looked for pcm/adpcm sound solution for a couple of years. Unfortunately I couldn’t find one back then. I eventually found something in 2016, but it wasn’t cheap. Now with OMNI I have the chance to use a custom solution that is everything I have always wished, for about the same price. Again, you don’t have to buy it. And you don’t have to like it either. And in fact as I indicated above it could never happen if the timing isn’t right, or could happen after DKA. We will know soon. Eduardo I understand the two statement perfectly. And I've been around here since 2004, and I remember it all. And like I said, I wish you luck, I really do. Please check this link out and I hope you guys enjoy the news!